To celebrate National Drive Electric Week, we are pleased to announce the unveiling of the solar array that will provide renewable energy into the Saskatoon grid, to power the Renewable Rides electric vehicles. Renewable Rides is the first of its kind in Canada: a car-share program, with electric vehicles (EV), powered by 100% solar energy, for anyone to use. To date, four EVs have been launched. Soon, a fifth publicly-accessible EV will also be located at Radiance Cohousing. Yesterday we launched the 3rd and 4th 100% solar-powered electric vehicles! There are now solar-powered EVs in Nutana, City Park, and Riversdale. Read the Press Release here. 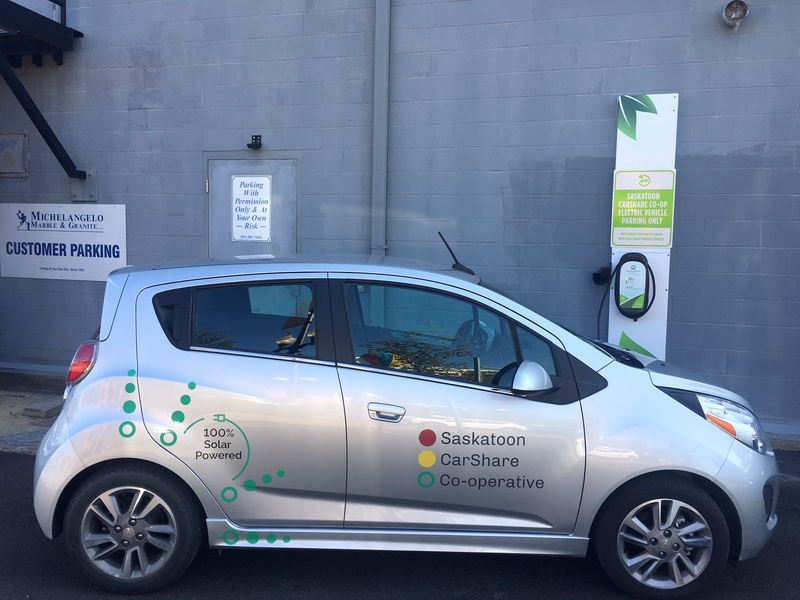 SES in conjunction with the SES Solar Co-op, the Saskatoon CarShare Co-op & their partners in Renewable Rides are launching 2 more electric vehicles powered by the sun. 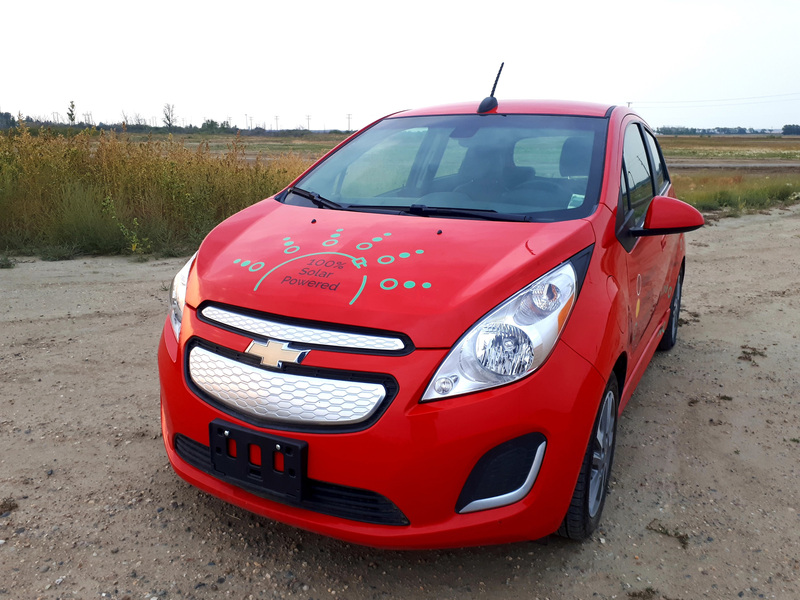 As part of the Renewable Rides program, we are happy to announce the official launches of Saskatoon's third and fourth solar powered electric car-share vehicles! Renewable Rides is the first of its kind in Canada: a car-share program, with electric vehicles, powered by 100% solar energy, for anyone to use. The celebrations begin at the YWCA Saskatoon to launch an EV in the City Park/downtown communities, and moves to Michelangelo Marble & Granite to launch an EV in Riversdale a first for the neighbourhood. It is a 10-minute bike ride between locations, 16-minute bus ride, or hop in the EV with us for a 7- minute car ride. The Saskatchewan Environmental Society will host the Saskatchewan Living Green Expo, a festival and trade-show focused on sustainable products, services, and speakers. Exhibitor categories include health and wellness, energy and green building, and sustainable transportation.